Did you know the next 31 days at SendGrid DX are dedicated to Open Source? Well, today marks the beginning of Hacktoberfest–the 5th annual virtual hackathon oriented towards Open Source software. SendGrid is happy to participate in this event, and we love to both give back and get help with our OSS projects. 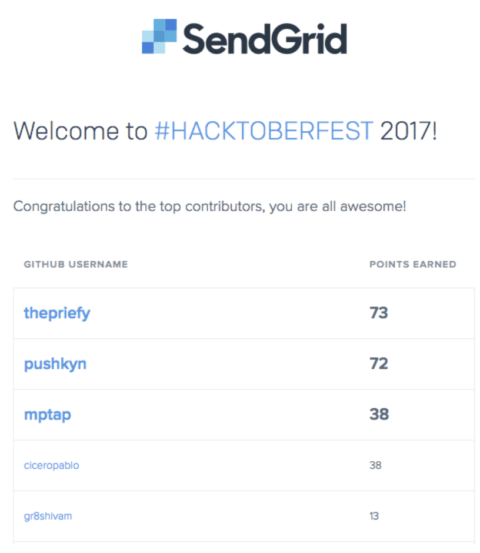 We will email qualified participants a link to a swag redemption form around the mid-point and end of Hacktoberfest – be sure to fill out the form from your PR. Shout out to DigitalOcean, GitHub, and Twilio for sponsoring! I encourage you to read the first in our Hacktoberfest blog series if you’d like an expanded commentary on the above. Our documentation repo all have issues labeled with “hacktoberfest” and a size. Contribute 5 “difficulty: easy” or 2 “difficulty: medium” or 1 “difficulty: hard” or greater to receive swag kit. We’re also trying something new this year. We’ve created a repo with more speculative “epic” sized ideas that are good opportunities for someone to start from scratch on an idea related to SendGrid’s APIs. Our crafty designers have been busy coming up with spiffy t-shirt design for this year. We hope you like it! 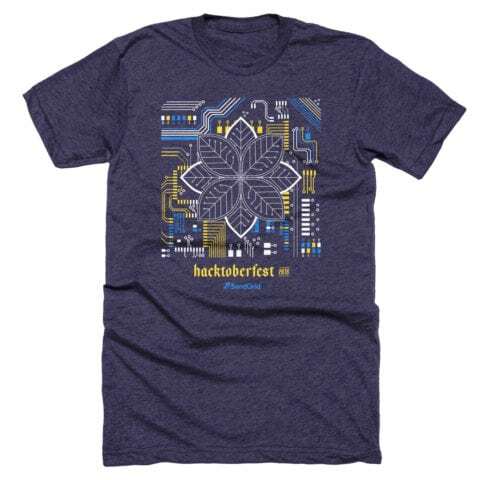 We aim to make Hacktoberfest a great Open Source event each year, and we hope that our participation will inspire you to get involved in any project that you choose throughout the year.